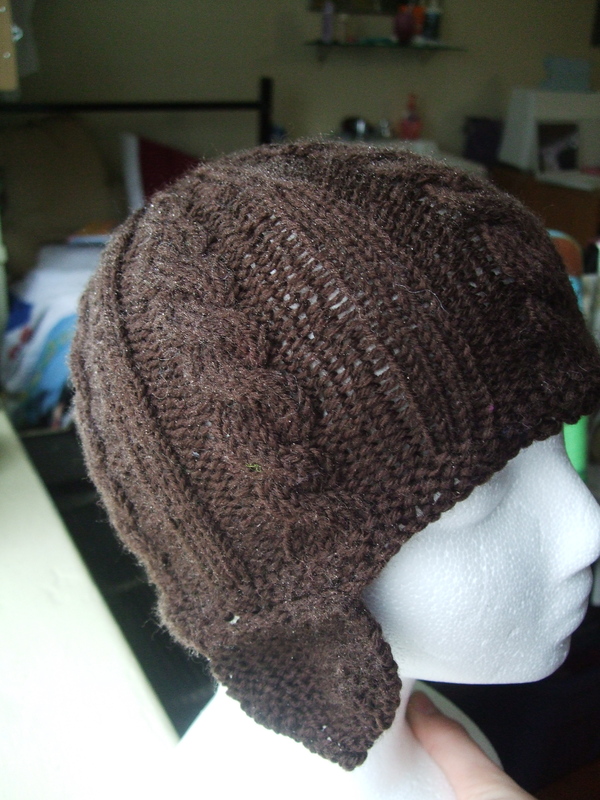 Cabled Snow Hat: Pattern is up! | Stitch, Brinn, Stitch! Cabled Snow Hat: Pattern is up! This hat is perfect for both men and women and is perfect for playing in the snow and keeping cold air off of your head. The hat brim is high enough to stay out of your eyes, and the earflaps mean your ears will stay warm and toasty, even in cold temperatures. Lots of heat is lost through the head, so this hat will keep you (or a loved one) warm. The hat knits up fast and makes a great last-minute gift, and at only about 110 yards (half a ball of Cascade 220 superwash), this hat is also a great stash buster! Needles: US 7/4.5 mm dpns and 16″ circ. « Who wants to see a Sweater WIP?